The bathroom is my escape...for the most part. Behind these walls is a place where I can pretend that I have absolutely nothing to do. I can block out the endless whining, pretend not to hear my name being called, avoid tripping over a toy and stand still for a moment without having a toddler attached to my hip. Okay, so what if this only lasts for two minutes. It's the longest two minutes of my life. And I finally outsmarted everyone by scheduling a shower during the most hectic times of the day (whenever I can get one) so that I can have even more time alone. Thanks to Essio, the essential oil diffuser, I have turned my shower time into spa time. I may never emerge from the bathroom again. I've had the kit for awhile. I wanted to test it out completely and make sure it really made a difference in my day. I am not sure if I was just excited to get a shower for the day, or, the oils actually had a calming effect on my. Either way, it was great to try out. 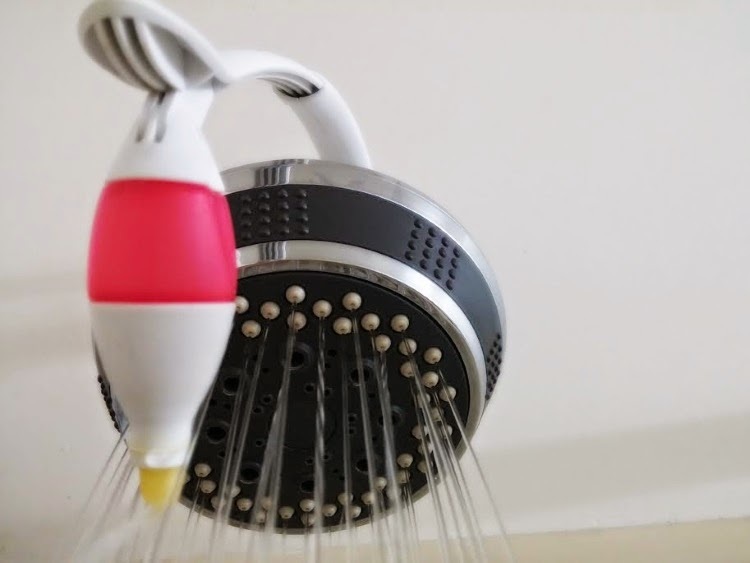 Check out the video below to see how easy it was to install the Essio Aromatherapy Shower Kit. Want your own kit? Visit the site to order one (http://essioshower.com/products/aromatherapy-shower-kit). It is currently $44.99 for a starter kit. It makes the perfect gift! You can also enter their giveaway to win a kt. Follow Essio on Facebook and Pinterest to stay up-to-date on their aromatherapy shower kits. I was provided a Essio Aromatherapy shower kit to facilitate my review. The opinions and views are my own.